apta The Association of Political Theory in Africa (APTA) is the leading forum for the development and exchange of political ideas to overcome the challenges facing Africa today. Professor Hountondji came to Wits courtesy of the NRF/British Academy SA-UK Bilateral Research Chair in Political Theory and WISER’s Mapping African Futures Seminar series. 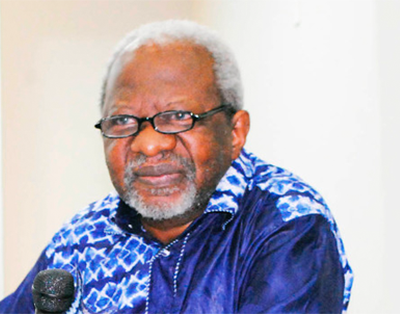 Paulin Hountondji is currently Director of the African Centre for Advanced Studies (Porto-Novo, Bénin). He received his PhD in philosphy in 1970 from the École normale supérieure in Paris. 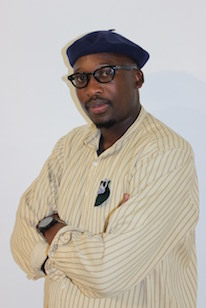 His many published works include African Philosophy: Myth and Reality (1996) and The Struggle for Meaning: Reflections on Philosophy, Culture, and Democracy in Africa (2002). African philosophy is not just a collective worldview supposedly shared by all Africans though they may be themselves unaware of it. Instead African philosophy is philosophy done by Africans. The critique of ethno-philosophy as formulated some fifty years ago draws attention not only to the existence of individual thinkers in Africa but also to their full intellectual responsibility while discussing with and sometimes opposing one another. Beyond this critique however it remains obvious that African cultures including African languages, religions, rituals and other domains of collective heritage are based on a set of common assumptions as is also the case in other societies and cultures. These assumptions however should by no means be termed African philosophy or philosophies. Instead philosophy begins at the very moment when the individual takes a stand for or against this intellectual heritage. 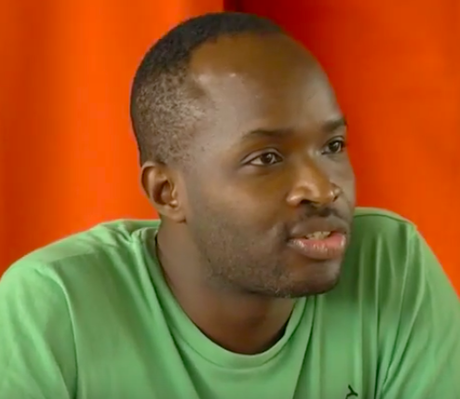 Aaron Kamugisha is Senior Lecturer in Cultural Studies at the University of the West Indies, Cave Hill Campus. He did his PhD Social and Political Thought at York University in Toronto, and was the 2007/8 Postdoctoral fellow in the Department of African-American Studies at Northwestern University. His current work is a study of coloniality, cultural citizenship and freedom in the contemporary Anglophone Caribbean, mediated through the social and political thought of C.L.R. James and Sylvia Wynter. He is the editor of five edited collections on Caribbean thought: Caribbean Political Thought: The Colonial State to Caribbean Internationalisms (2013), Caribbean Political Thought: Theories of the Post-Colonial State (2013), (with Yanique Hume) Caribbean Cultural Thought: From Plantation to Diaspora (2013) and Caribbean Popular Culture: Power, Politics and Performance (2016), and with Jane Gordon, Lewis Gordon and Neil Roberts Journeys in Caribbean Thought: The Paget Henry Reader (2016). 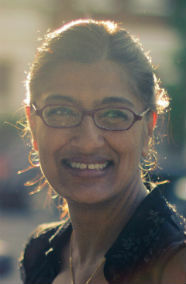 Manjeet Ramgotra studied Politics and French at the University of Saskatchewan in Canada and after living in France for a number of years, she wrote a PhD in political theory at the LSE on the conservative roots of republicanism in the history of western political thought. More recently, her research has developed to examine republicanism in the twentieth-century post-colonial moment, notably in the founding of the Indian republic. Manjeet is a strong advocate of decolonising the curriculum and has reconceptualized her teaching to include more women, people of colour and to reconsider how we construct knowledge. Grant Parker joined Stanford from Duke University in 2006. He teaches Latin and other topics in Roman imperial culture; he has worked on the history of collecting and on historical maps. His books include The Making of Roman India (2008) and The Agony of Asar: a former slave’s defence of slavery, 1742 (2001). He has edited a major volume, South Africa, Greece, Rome: classical confrontations (forthcoming 2016/7). Current research projects focus on memorialization and public history, in both Rome and South Africa (including comparison). African states reflect complex past and present political trajectories. This can be understood as entailing four interconnected dynamics and processes: first, a mix of hasty decolonization processes; second, the battleground of fierce proxy wars; third, ideological struggles for the balance of power: and fourth, the rule of perennial autocratic systems sustained by domestic, international, state and non-state actors. On the one hand, this has deterred the blossoming of civic rights and rule by law, and on the other hand, fed into narratives about the paradox of plenty, social imbalances, and institutional decay as undermining the struggle of African states to guarantee basic political, social and economic rights to citizens. Yet, despite enduring power structures that often interlace with repressive impulses within existing regimes, an emerging pattern of change seems to be taking place across the continent. It is hard, however, to foresee whether the efforts to reform the AU will help to address the gulf between power-holders and the people or fall prey to a complex web of vested interests. This paper attempts to tackle the challenges and opportunities facing the continent. 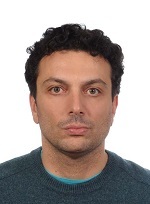 Dr Syros is a Senior Research Fellow at the Academy of Finland and also serves as KNAW/Royal Netherlands Academy of Arts & Sciences Visiting Professor at Radboud University Nijmegen. His teaching and research interests focus on Comparative Political Theory and the history of Christian/Latin, Jewish, and Islamic political thought. Dr Syros is the principal investigator for the research project “Political Power in the European and Islamic Worlds” (2014–18). 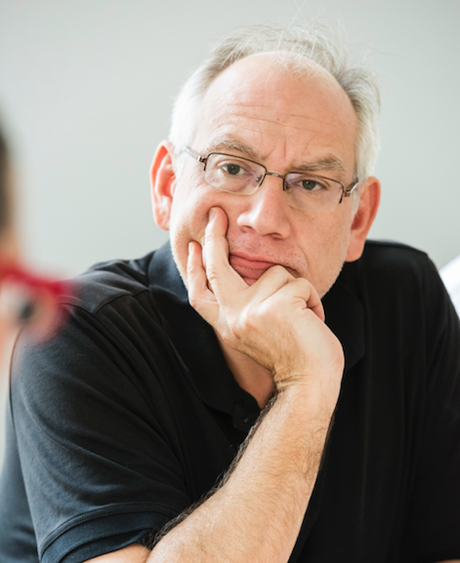 He has taught previously at Stanford University, McGill University, The University of Chicago, and the École Pratique des Hautes Études (Paris) and has received fellowships from Columbia University, the University of Pennsylvania, Princeton University, and the Royal Society of Edinburgh. The session will be chaired by the British Academy Research Chair in Political Theory, Professor Lawrence Hamilton. Sterling Professor of Political Science Ian Shapiro was invited to speak by NRF/British Academy Research Chair in Political Theory, Professor Lawrence Hamilton. Shapiro is also the Henry R. Luce Director of the MacMillan Centre for International and Area Studies at Yale University. His lecture Democratic Competition: The Good, the Bad, and the Ugly’ was an evaluation of different democratic arrangements in light of the elections and referenda of 2016. Shapiro argues that recent trends to decentralize decision-making and the governance of political parties in the name of enhanced democratic control have been self-defeating, and he proposes appropriate remedies. Shapiro has written widely and influentially on democracy, justice, and the methods of social inquiry. He was born in South Africa but has been teaching in the Yale Political Science Department since 1984. He is a fellow of the American Academy of Arts and Sciences and the American Philosophical Society, and a member of the Council on Foreign Relations. He is a past fellow of the Carnegie Corporation, the Guggenheim Foundation, and the Center for Advanced Study in the Behavioral Sciences. He has held visiting appointments in Cape Town, Tokyo and Oxford.